Dolomites, Cortina… great European destinations that aren’t the Alps. 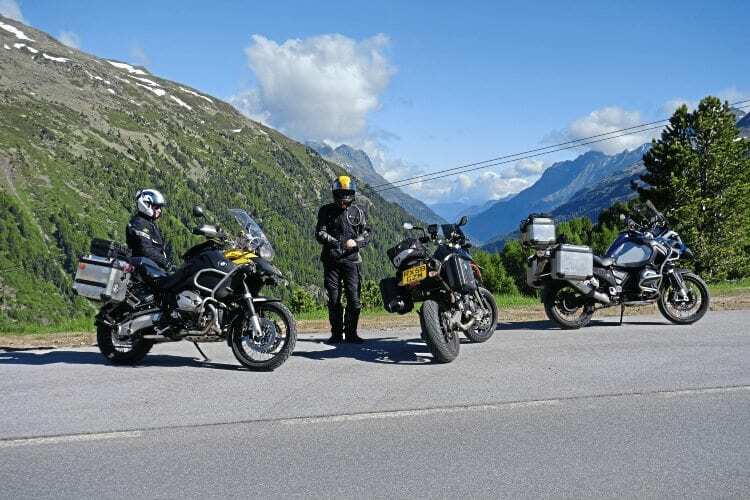 June 2015 found Chris (BMW R1200GSA), Neil (KTM 950 Supermoto) and myself (R1200GSA) following a winding route to Lake Como and back. The initial plan included France, Austria, Germany and Italy, and the 2015 FAGI Tour was born. Chris had planned a route all the way down, travelling through the Black Forest and avoiding motorways. We found hotels on the way, following our collective noses southeast via whatever took our fancy. After Germany we travelled through the Timmelsjoch, Brenner, Gerlos (past the Krimml Falls) and Grossglockner passes to reach Cortina on day seven. 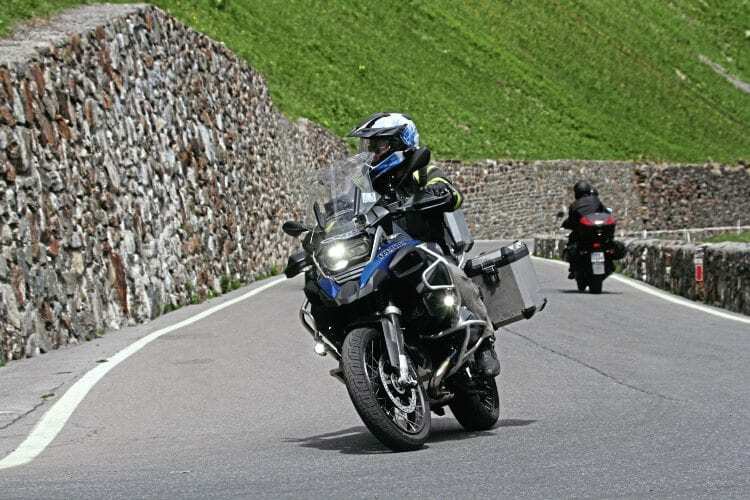 Lining up for yet another hairpin – Paul gives the R1200 a touch of positive steering. We left Cortina heading into the Dolomites with, as usual, no clear destination. Then an interesting ‘Garmin moment’ (better known as a dead end) reminded us that it was well past lunch time, and we happened upon the Pension Maria in Antermoia. “Too late for lunch,” we were told, “but we can sort you a little something…” Impressed with the food and location, we booked in for the night before heading off to explore some local roads. We ended up staying in this delightful pension (guest house) for three nights, the first English guests since it opened in 1969. Lovely people, good rooms, great local food, a garage for the bikes and very reasonable too – we will return. It’s difficult to find an uninteresting road in the Dolomites. 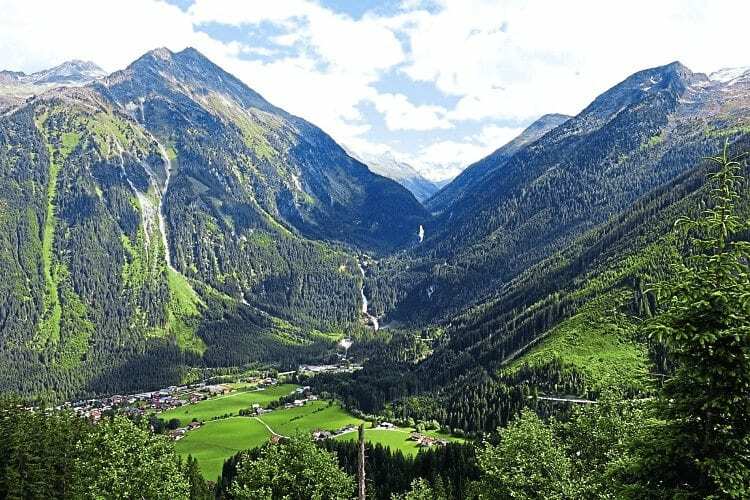 The scenery is stunning, with crisp blue sky pierced by sharp white mountains exploding from lush green valleys. 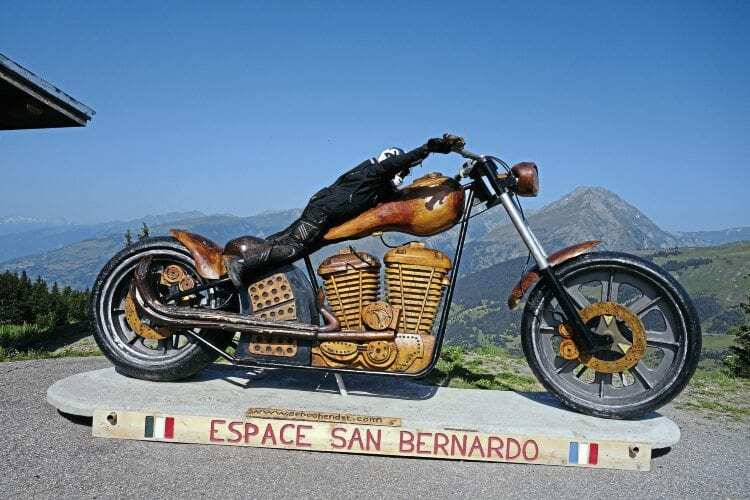 A glance at a map shows it to be a motorcyclist’s playground. Plenty of others agree, so parts are very busy, but if you avoid the key centres you will find clear road that won’t disappoint. Dolomite scenery is… well, stunning isn’t the word. The Pension Maria is often used by German bikers and Chris, an early riser, went down to the spacious garage to find the Germans had just finished cleaning their bikes. Heaven knows what they thought of ours, encrusted as they were with a whole week of road grime! We were in need of a relaxing day after the previous week and following advice from Daniela at the hotel, we explored some of the local lakes and beauty spots. Forest rest, but look at the peaks through the trees! The following day we headed west along the SP29 through forest and pasture between the craggy Mount Putia and the spectacular, but less rugged, Grosser Gabler. On to the SP163 and SP139 we followed the route taken the previous day as far as Ortisei. Like minor rural roads everywhere, they presented their own challenges and demanded a slower pace. What adventure touring is all about. Narrow at times, with more tight blind corners as well as occasional farm traffic and wildlife, they needed just as much concentration as the faster stretches. In fact, we were slowing down in general compared to earlier in the trip. We had become familiar with the stunning roads and found it easier to stop hunting the next thrilling corner. Boot leather was getting thinner as each day passed. We stopped more often to admire the scenery, savouring the views – the fantastic roads would still be there a little later. Is he happy or what? The winding SP64 and SP24 were similar in nature, presenting broad vistas at every turn, and almost traffic free into the bargain. Time and turns eventually brought us to the busier SS241 and SS48, which we followed as far as Canazei. 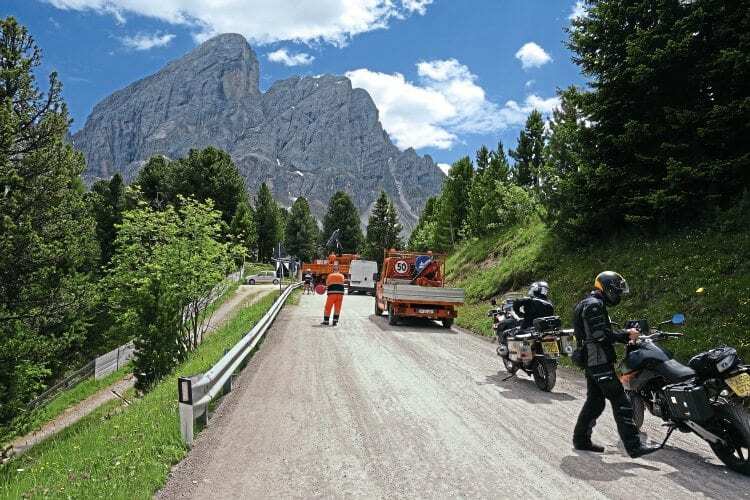 These roads showed a different side to the Dolomites, feeding as they do the tourist hotspots. They were a lot busier than the mountain roads we’d been riding that day and needed a measure of patience. 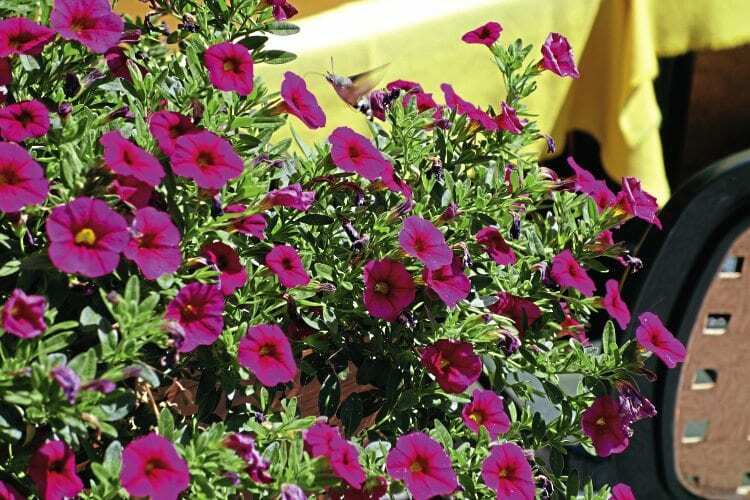 Lovely colours, and 10 points if you spot the pollinator. Leaving Canazei, we cranked up the pace, ascending the Passo Pordoi on the SR48. This spectacular road, with the now familiar views of the tabletop Marmalada, acts as a backdrop to sequences of hairpins to test any rider. Fortunately these are linked by straights long enough to allow safe overtaking or relaxing into the landscape, whichever is your fancy. We stopped at the top to take pictures and see the exotic collection of machinery that had just come the same way. Then we repeated the experience down the eastern side – all in all this was one of my favourite passes of the trip. You can’t have these lovely roads without the odd spot of maintenance. Continuing on the SR48 past Arabba and the occasional police car brought us to a relatively gentle landscape – less craggy and more Tyrolean in appearance. 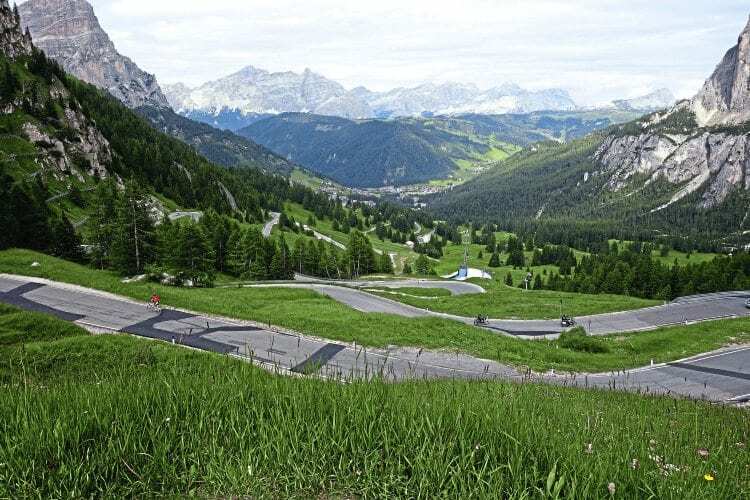 We stayed on the same road then turned north along the quiet Passo Valparola, which cuts through to the SS244 and exhibits a more stark aspect, the limestone-like rock providing a sharp contrast to the blue sky above and greenery nestled between boulders and mountain. As the altitude decreased, trees began to dominate the roadside, the change in scenery helping to keep us focused. The SS244 took us north to San Martino in Badia, where we turned left on to the now familiar SP29. Finding somewhere to stay wasn’t difficult in June. Antermoia was just a few miles away, as was a refreshing beer. Back on familiar roads, we could push any tiredness aside, having a better idea of what was coming up. It was a perfect end, on quiet roads with every variety of corner and camber to meet us on the final stretch. Sobering to think that back in the UK riders might have to travel for hours to ride a road like this, but if you live in the Dolomites, it’s on your doorstep, and nothing out of the ordinary. 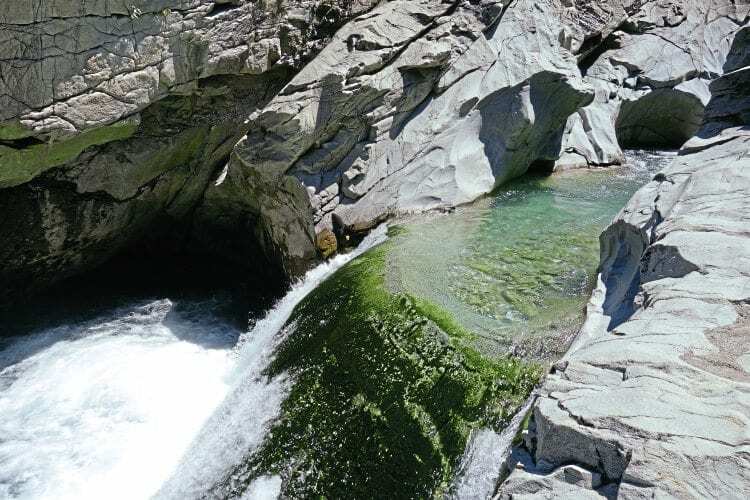 Makes you want to dive in, or it would if the white water didn’t look so fierce. 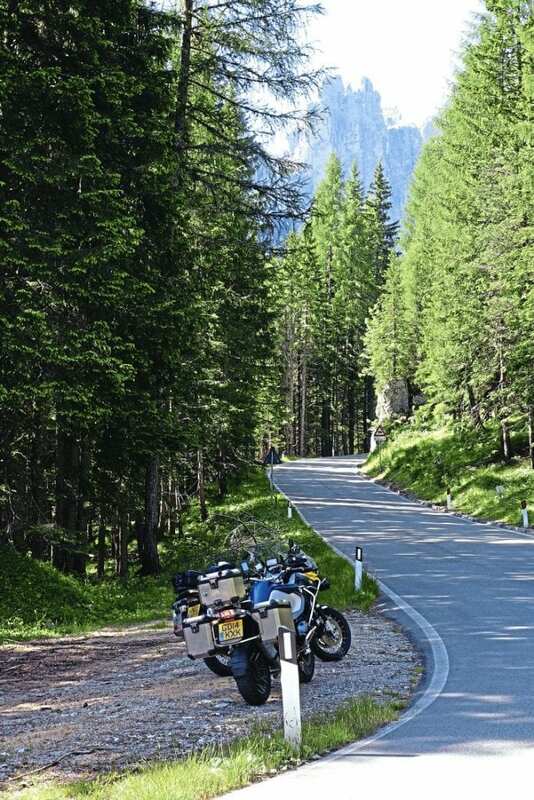 After our third night at the Pension Maria we left the Dolomites behind, heading west towards the Stelvio pass and another fantastic ride home. The Dolomites are a popular holiday destination for Italians. If you’re flexible avoid August as it will be busy in the tourist hotspots. If you like variety it’s a fantastic base for walking too – should you stay in Canazei or Selva many of the local lifts will be open to walkers. These can take the sting out of any climb, and there are some very interesting First World War remains south east of Canazei, north of the San Pellegrino Pass. Here, high in the mountains, trenches and shelters have been dug into the rock. Not a walk to do in your bike boots though! Apart from the obvious, it’s also the first Harley with different sized pots. 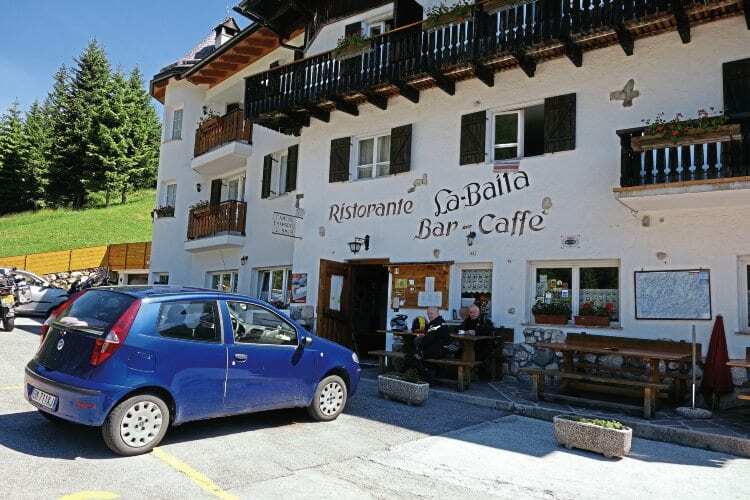 Throughout the Dolomites and Tyrol it’s not unusual to get lift passes, or at least a discount, included with your room but you may need to ask. Can you see any cars? We can’t. 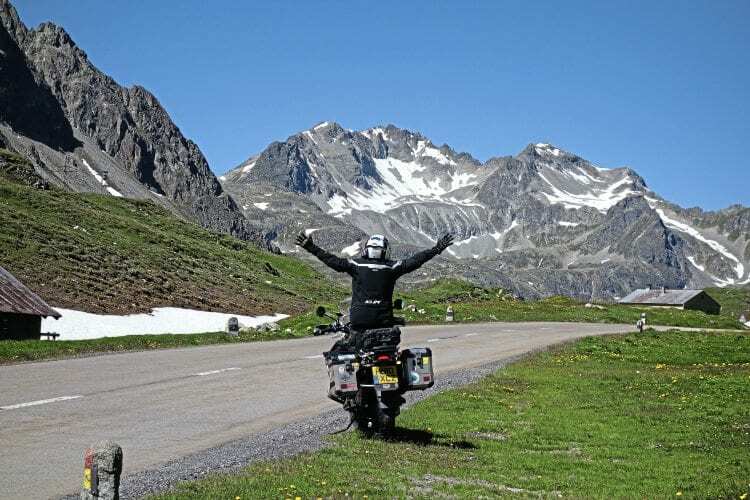 Our ride over the Grossglockner was made even more agreeable when we were given free passes by our hotel in Mittersill. Travelling in late June, we only booked the first night on this trip. We tended to start looking for accommodation at around 4pm. Having looked at the rooms there was only one we decided against, going on to find much better, and most were very good. The Pension Maria was the only one we used for more than one night.